The founder of EOS is predicting that two big changes for Bitcoin are on the horizon. According to Brendan Blumer, the value of a given amount of BTC will one day be based on its transaction history. If a batch of Bitcoin has a known history of illegal activity in its past, he believes its value will sink. Blumer’s outlook is based on the foundations of fungibility – a property that allows a medium of exchange to be interchangeable, and also allows one unit to be divided into smaller denominations and still retain the same value. Fiat money, for example, is fungible as $20 notes are interchangeable with other $20 notes. One $20 note can also be divided into two $10 notes without losing value. But Bitcoin’s fungibility is a topic of debate since the history of one Bitcoin can be traced, for example, to an illicit transaction. A recipient may not want to be connected, even on the blockchain, to a Bitcoin that has a sketchy past. An exchange may also not want to trade crypto that’s linked to a bad actor or a notorious history if exposure to such assets creates a degree of regulatory concern or risk. Blumer also predicts Bitcoin will separate into a “dark” and “light” pool, with the former somewhat anonymous and the latter much more transparent and traceable. 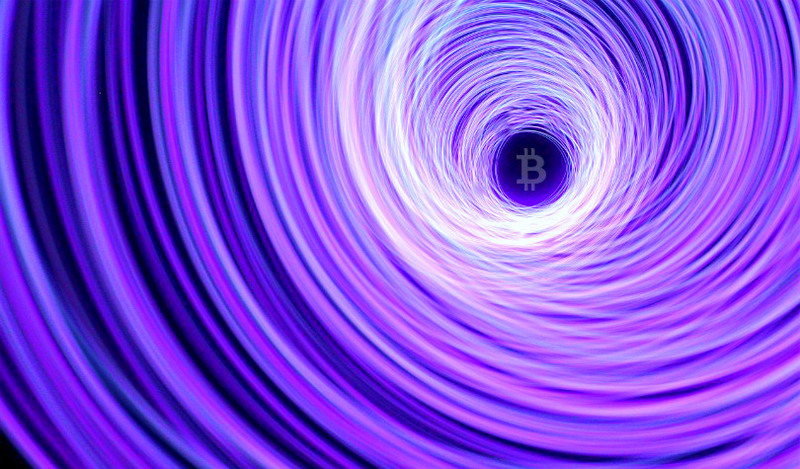 Over time, #Bitcoin will split into a “dark” and ‘light” pool; one psuedo anonymous, and one fully identified. Dark pools are a common fixture in finance, and essentially give people a legal space to trade assets on a hidden order book via a private exchange. The startup Republic Protocol is building a decentralized exchange that supports dark pool cryptocurrency trading. The platform launched its mainnet beta in September. “With the launch of Mainnet Beta, Republic Protocol starts the next phase of our journey in creating the premier dark pool trading venue for digital assets. In the months following Mainnet Beta release, there will be two further iterations of the Mainnet — ‘Pequod’ and ‘Argo’ — which will introduce new order types, network upgrades, and some exciting other features. According to Rosenblatt Securities, 14% of all US stock trades happen in dark pools, with the traders and trades themselves hidden from the public.